If you plan to temporarily or permanently discontinue the practice of nursing in North Carolina, a request may be made for Inactive Status or Retired Nurse Status. Apply for Inactive Status or Retired Status with the North Carolina Board of Nursing. To request inactive status or retired status, access your Nurse Gateway profile and select the 'EXPIRING SOON!' tile which indicates your license under the 'Licenses/Approval to Practice/Certifications' tab. Select 'Request Inactive Status' or 'Request Retired Status' on the following page. If you plan to discontinue the practice of nursing in North Carolina, either permanently or temporarily, a request may be made to become inactive. Inactive Status is requested when your license is up for renewal. The request for Inactive Status MUST be made before the expiration of your current license. Once a license expires, it cannot be placed on the Inactive Status. A nurse with an Inactive Status license is not permitted by law to practice nursing. A nurse who has retired has the option of placing his or her license on Retired Status when the license is up for renewal. The request for Retired Status MUST be made before the expiration of your current license. If a license is inactive or expires, it cannot be placed on Retired Status. Retired Status allows you to use the designation of either Registered Nurse - Retired or Licensed Practical Nurse – Retired. With the Retired Status, you will receive a frameable Certificate with this designation as well as a two-year subscription to the Bulletin. This Certificate will be mailed to you after the expiration date of your current license. 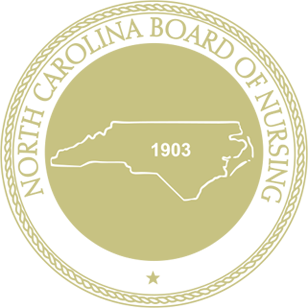 The Retired Status does not permit the practice of nursing in North Carolina. You must complete the reinstatement application. Prior to reinstatement, a Criminal Background Check is required for all applicants who have not held a North Carolina license for six (6) months or more. The Criminal Background Check packet is mailed to the nurse upon receipt of the reinstatement application. The fingerprinting must be performed by a Law Enforcement Official. The fee for the background check is submitted to the Board along with the completed fingerprint card. In addition, upon application for reinstatement, all applicants are required to attest to completion of a self assessment, learning plan, and one of the approved learning activity options during the two year period prior to reinstatement. If your license is inactive for five (5) years or longer, you will be required to take a Board-Approved Refresher Course or provide evidence of active licensure in another state or jurisdiction within the five (5) years prior to reinstatement. Upon completion of the reinstatement application, you will be instructed to submit evidence of licensure in another state or jurisdiction or evidence of successful completion of a Board-Approved Refresher Course. If your North Carolina license has been on Inactive Status or Retired Status for over five years and you have not been licensed in another state during the last five years, successful completion of a Board-approved refresher course is required prior to reinstating your license. The refresher course will satisfy the Continuing Competence requirement. When all required information and applications are received from you, a current license to resume the practice of nursing will be issued. Your license must be reactivated within one year of completing the refresher course in order to be considered for current license status. The Board may decline to reactivate a license if a determination of unsatisfactory ability to practice nursing is evident. Once the Board of Nursing receives all materials for reactivation of a license, a minimum of six weeks processing time may be required.